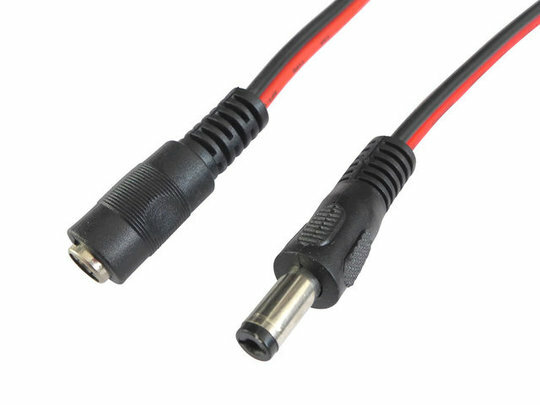 This adapter combines a high quality DC barrel connector with a pair of screw terminals, allowing you to quickly add a removable connection to your existing circuit. 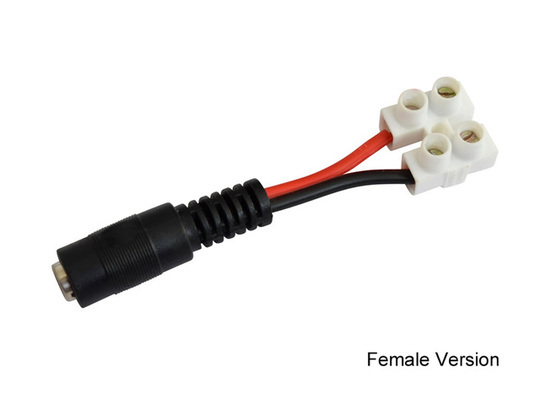 Male and female DC connector versions are available (as are sets of one male and one female together). 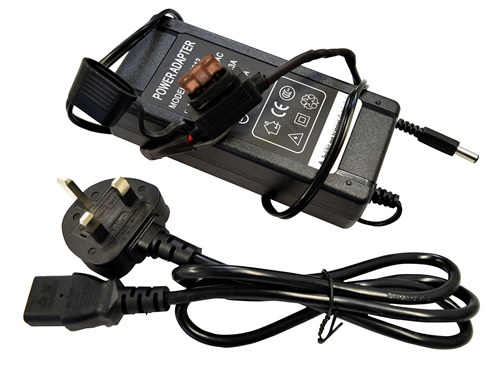 Each connector and screw terminal combination is suitable for a current of up to 8A continuous at 20°C. The centre pin of the connectors is attached to the red lead while the outer barrel is attached to the black lead. 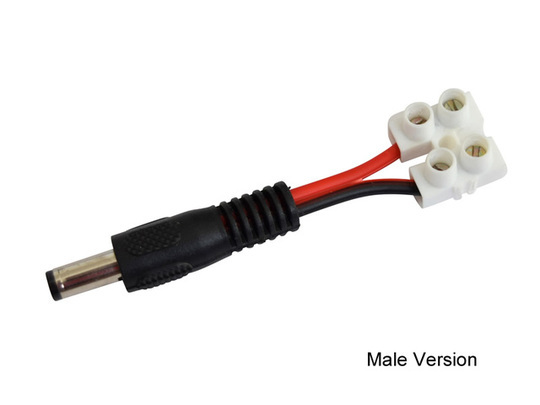 Each connector and screw terminal assembly is approximately 75mm long from end to end. The screw terminals have slotted screws, for use with flat-head screwdrivers.